September in Maryland. Last updated: 9/11/2012. 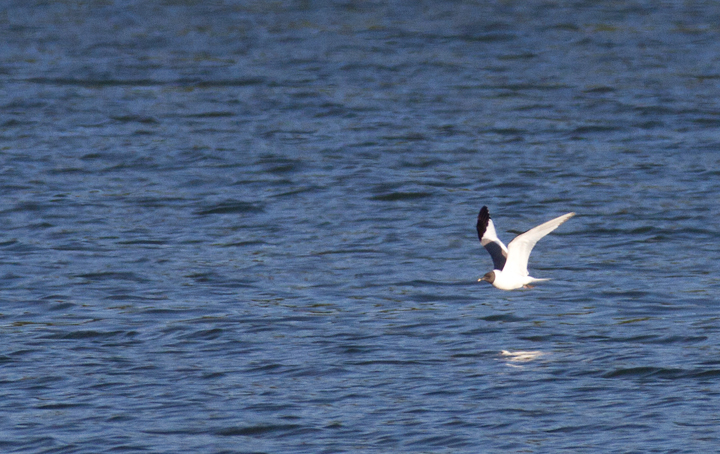 Above and below: An adult Sabine's Gull at Triadelphia Reservoir, Maryland (9/9/2012). 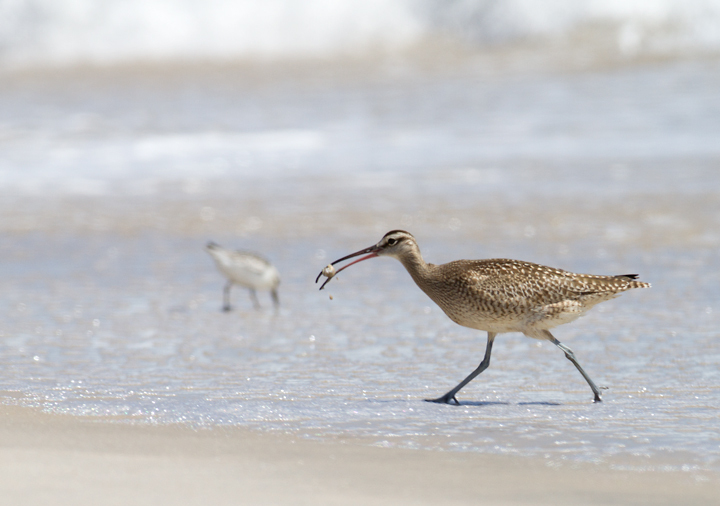 Found by Tom Feild and Geraldine King. 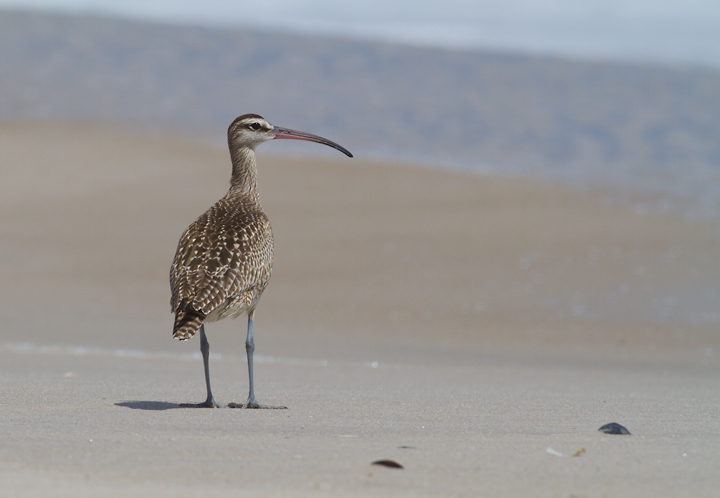 Below: A Whimbrel on Assateague Island, Maryland (9/9/2012). 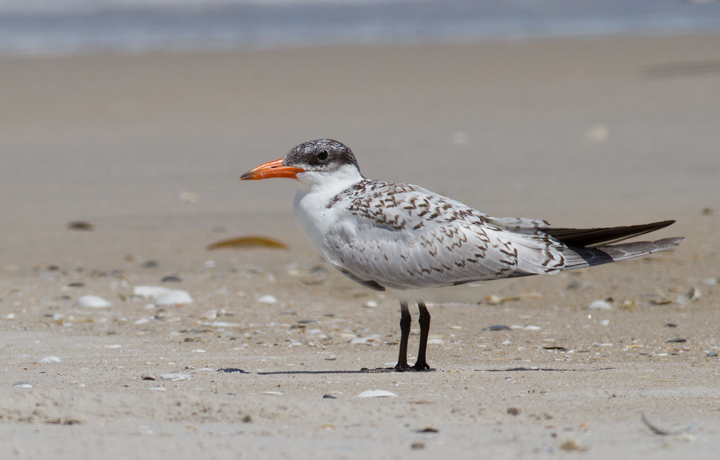 Below: A juvenile Caspian Tern on Assateague Island, Maryland (9/9/2012). 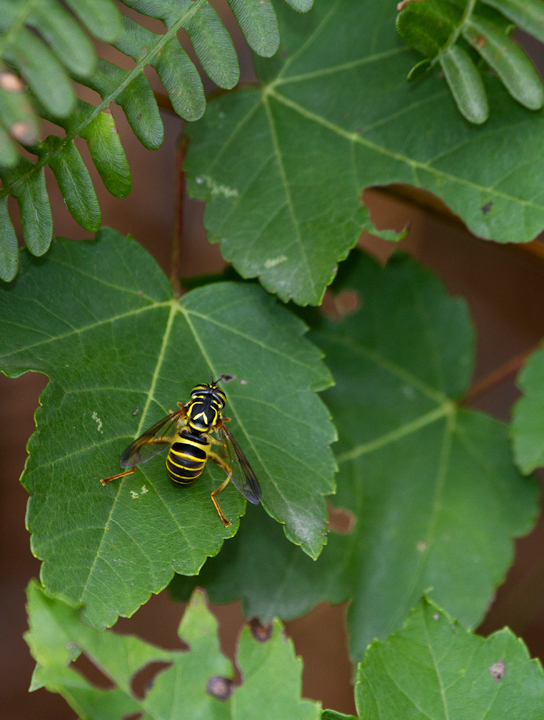 Below: Spilomyia longicornis, a yellowjacket mimic fly, in Worcester Co., Maryland (9/2/2012). 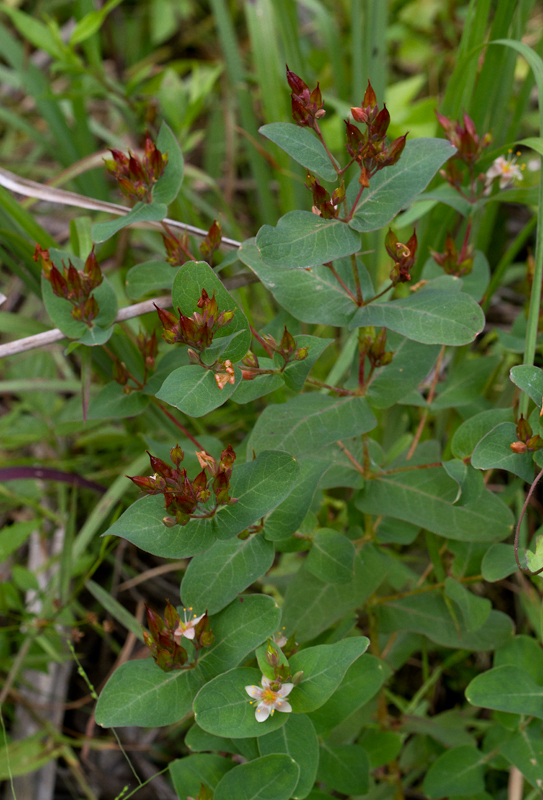 Below: Virginia Marsh St. Johnswort in Worcester Co., Maryland (9/2/2012). 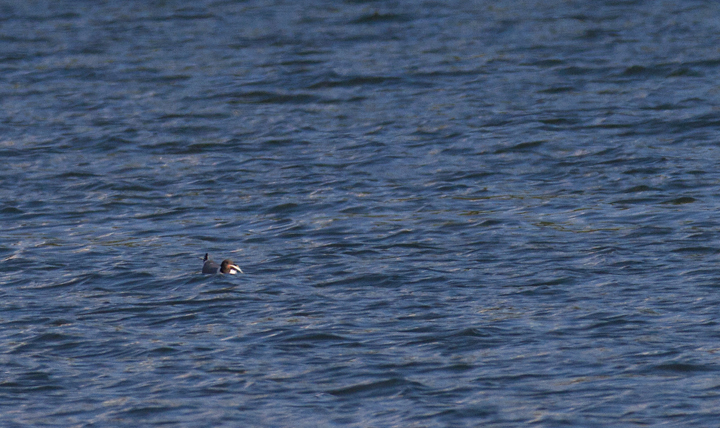 Separated only very carefully from the three other members of its genus. 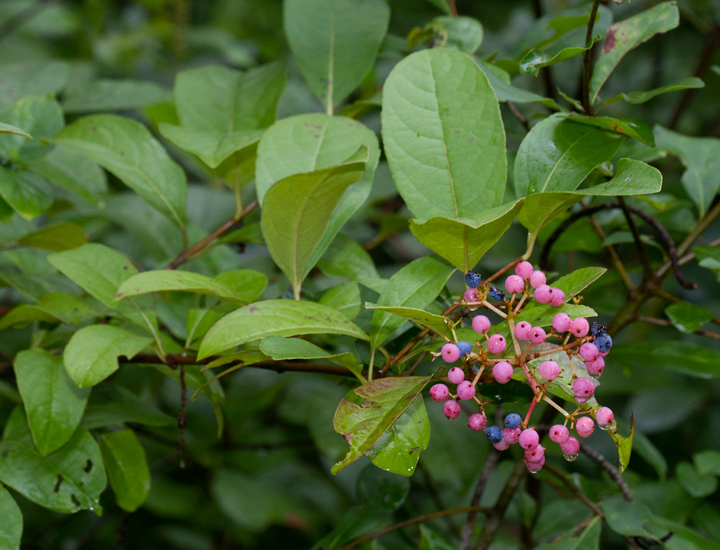 Noted clasping lower leaves, precise flower shape, and spots on undersides of leaves. 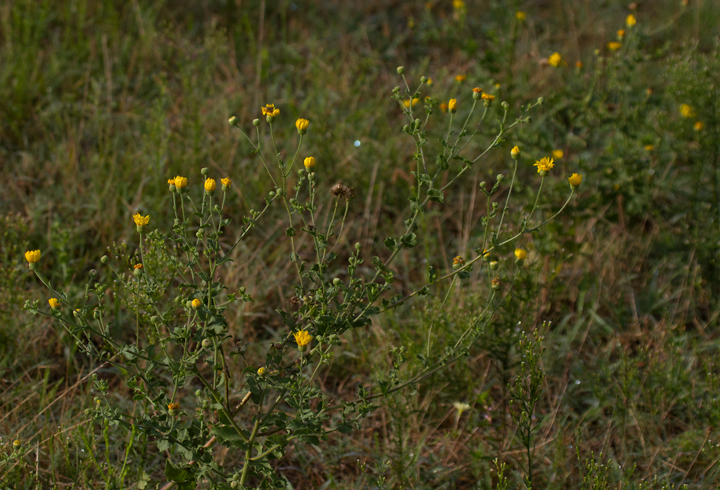 Below: Woodland Lettuce in Howard Co., Maryland (8/25/2012). Below: A Swamp Cicada at Downs Park, Anne Arundel Co., Maryland (8/31/2012). 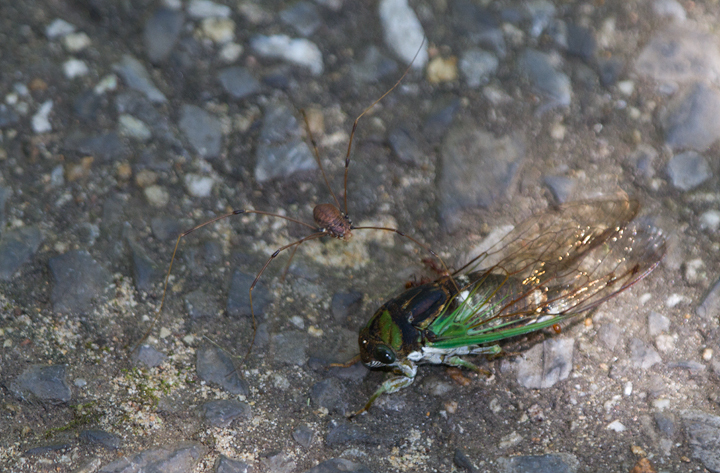 This individual is under siege by a Daddy Longlegs and several ants. 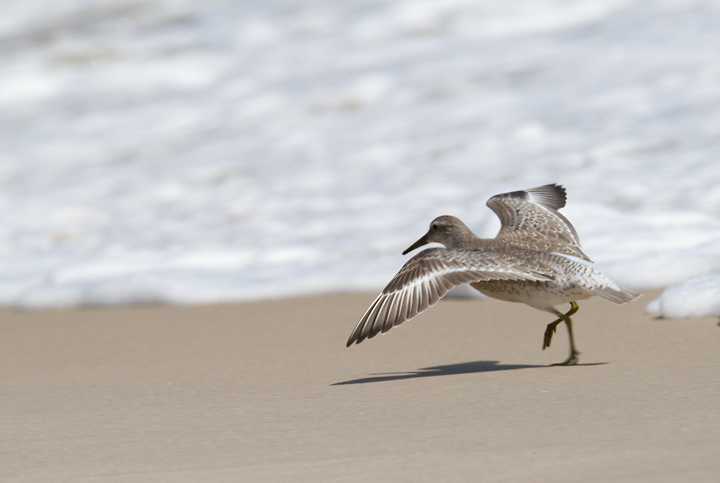 Field marks include bright green in the wings, the white ventral area, greenish legs, and green patches on the head. 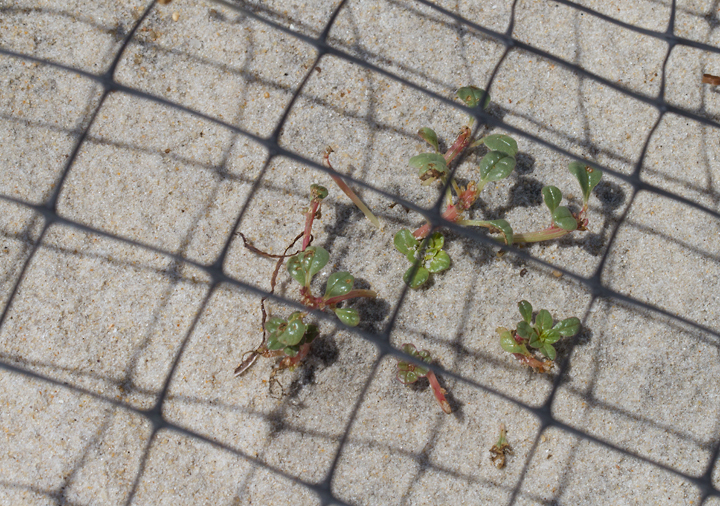 Below: Globally rare Seaside Amaranth in cages to protect it from Assateague's feral horses (9/9/2012). 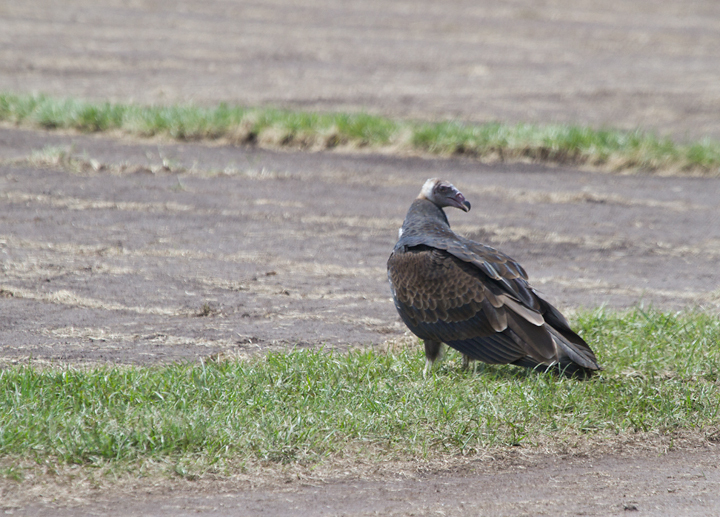 Below: A juvenile Turkey Vulture in northern Worcester Co., Maryland (8/19/2012). 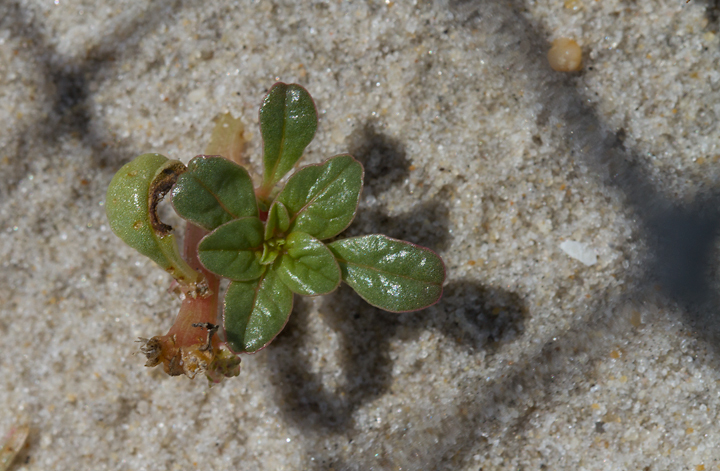 Below: Canadian Horseweed on Assateague Island, Maryland (8/19/2012). 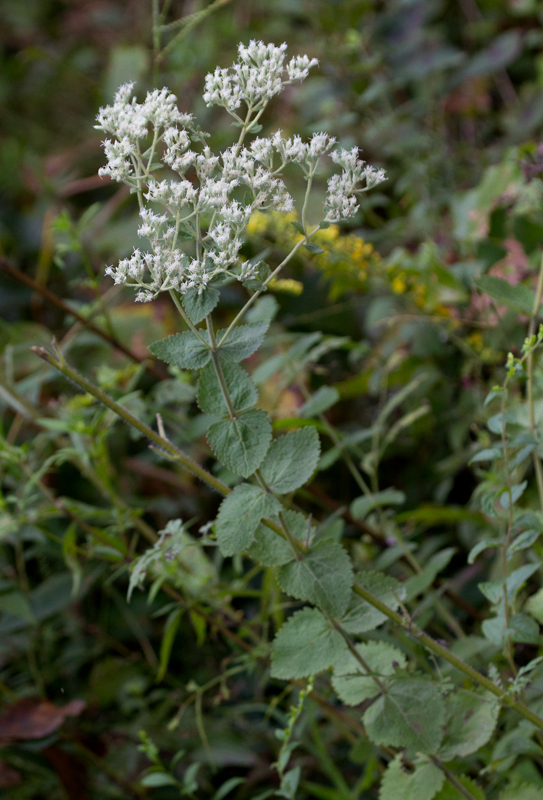 This is an abundant roadside species in Maryland. 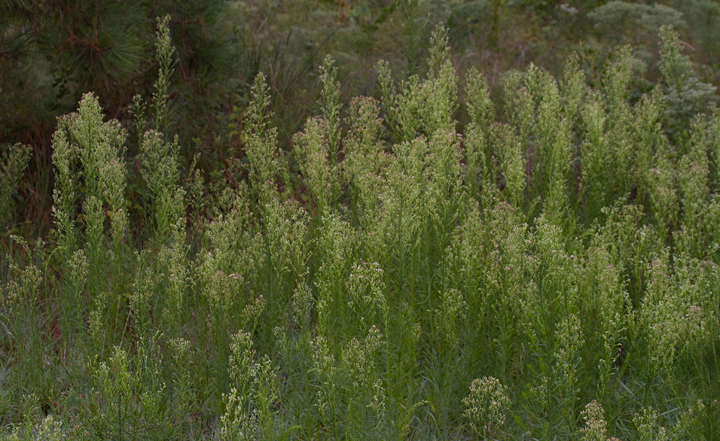 Below: Dog Fennel on Assateague Island, Maryland (9/9/2012). 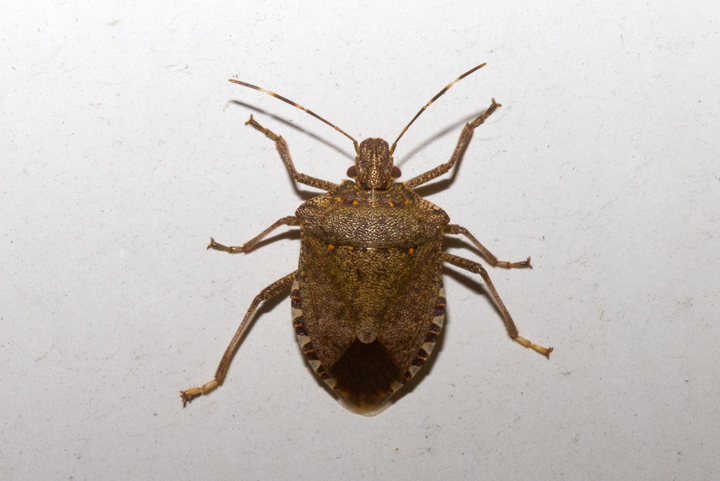 Below: A Brown Marmorated Stinkbug in Anne Arundel Co., Maryland (9/7/2012). Accidentally introduced to the U.S. from eastern Asia in 1998 and rapidly expanding. 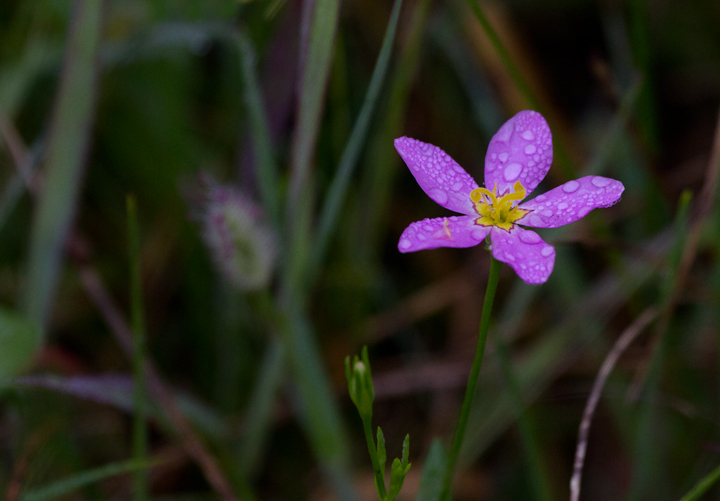 Below: Annual Seapink on Assateague Island, Maryland (8/19/2012). 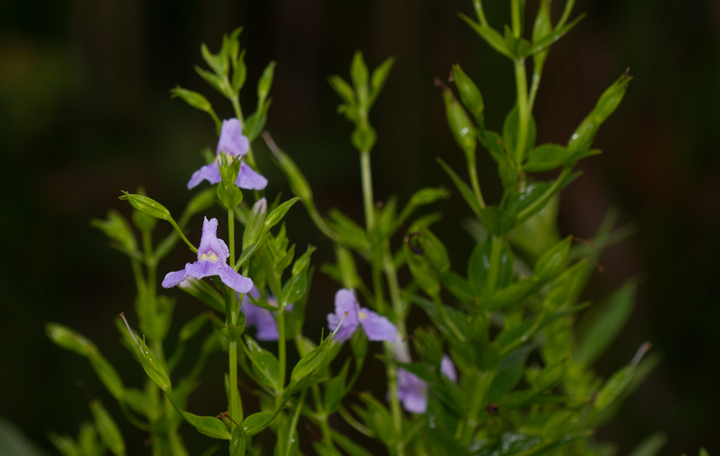 Below: Allegheny Monkeyflower in Anne Arundel Co., Maryland (8/5/2012). Below: Marsh Elder, or Jesuit's Bark, on Assateague Island, Maryland (8/19/2012). 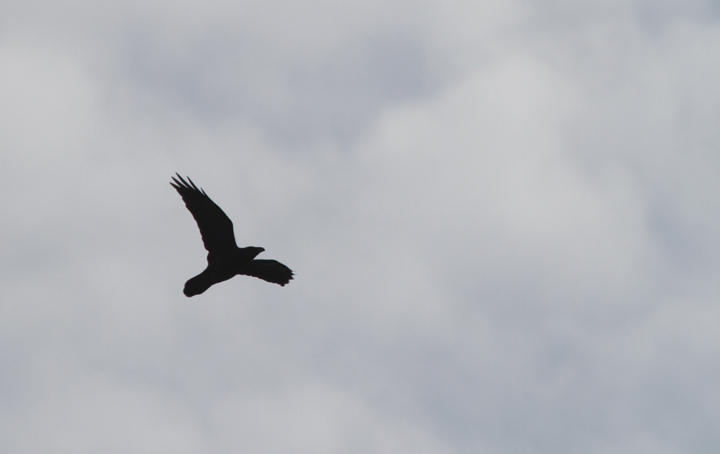 Below: A Common Raven over Swan Creek in northern Anne Arundel Co., Maryland (8/24/2012). 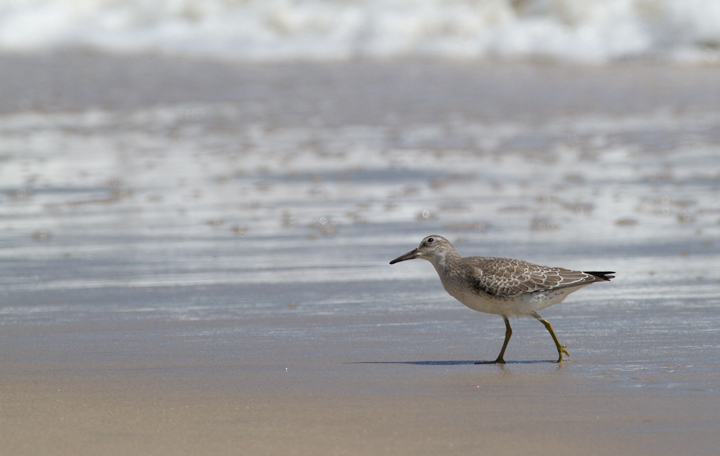 This coastal plain location is a fascinating eastern edge of the species continued range expansion in Maryland. 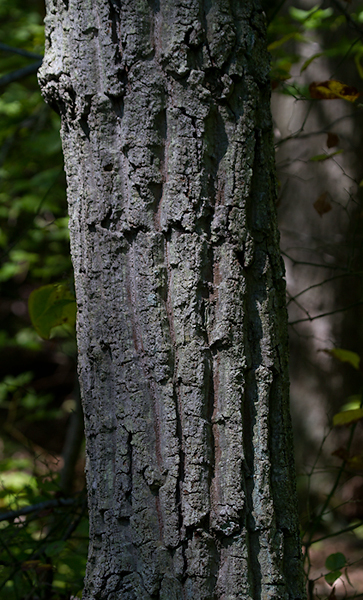 Below: The distinctive, deeply furrowed bark of the Chestnut Oak is a key field mark for distinguishing from Swamp Chestnut and Swamp White Oak. 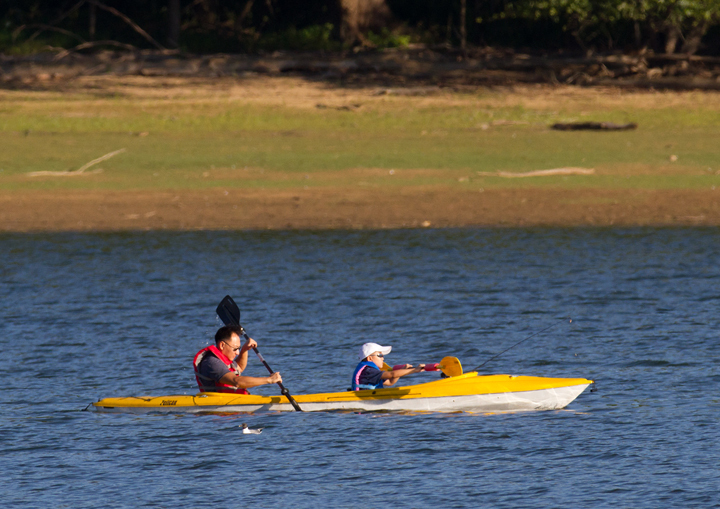 Photographed at Downs Park, Anne Arundel Co., Maryland (8/31/2012). Below: Panicledleaf Ticktreefoil in woods along the Chesapeake Bay in Anne Arundel Co., Maryland (8/31/2012). 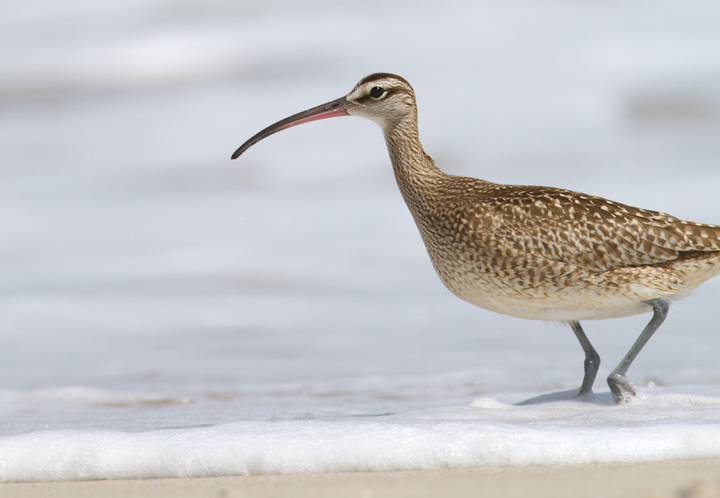 This is a pretty complex genus. 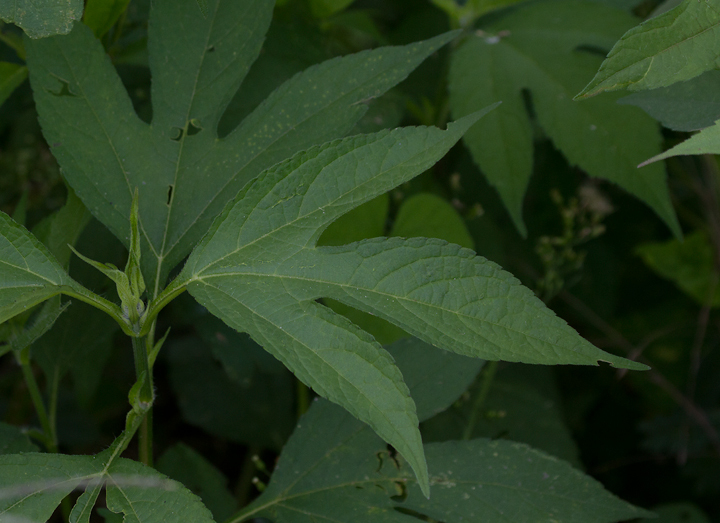 Identified by leaf shape, precise flower shape, smooth stem, and the length of the leaf stalk. 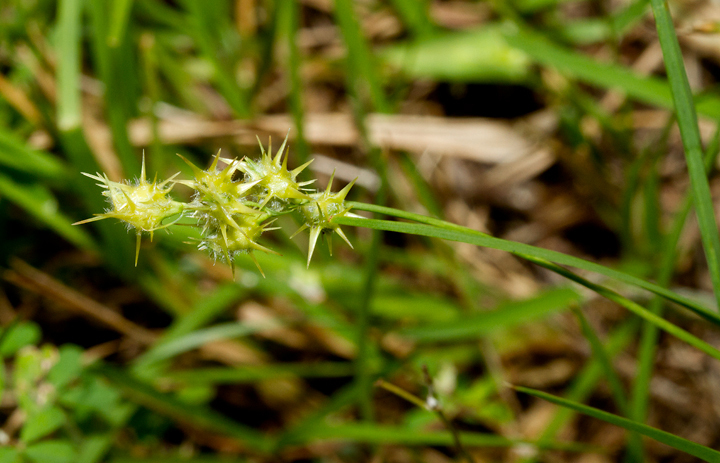 Sessile-leafed seems most similar, but is ruled out by the length of the leaf stalk (greater than 1/2"). 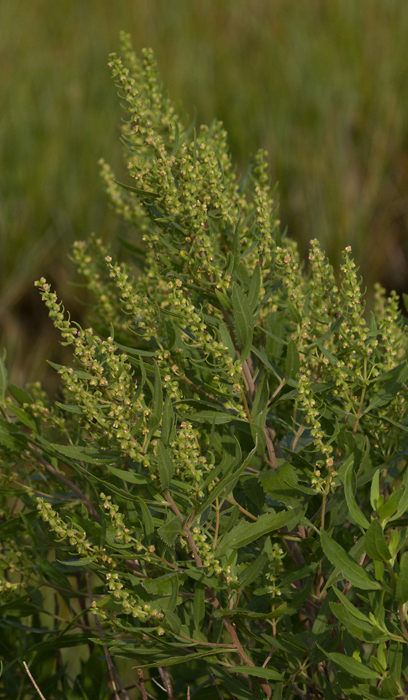 Below: Camphorweed on Assateague Island, Maryland (8/19/2012). 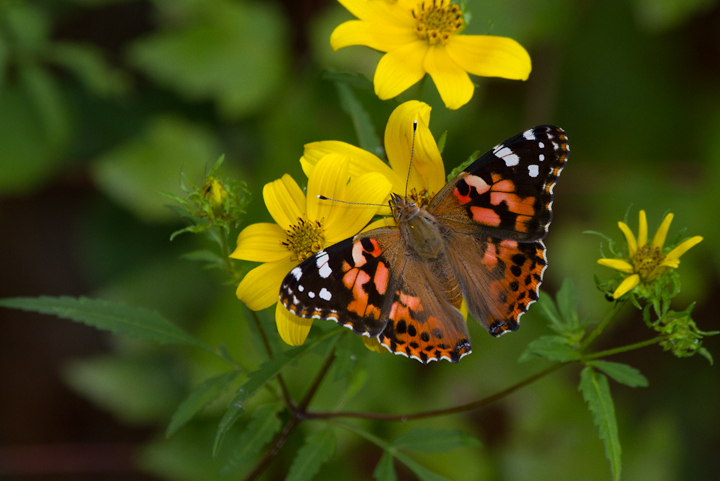 Below: A Painted Lady in Wicomico Co., Maryland (9/2/2012). 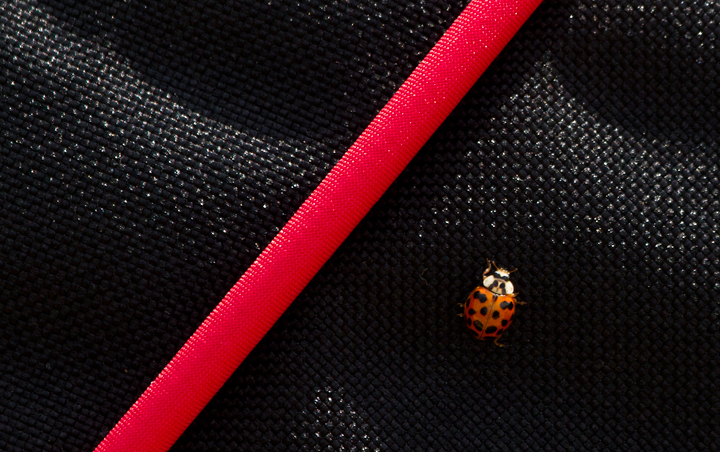 Below: A Multicolored Asian Lady Beetle in Prince George's Co., Maryland (8/26/2012). 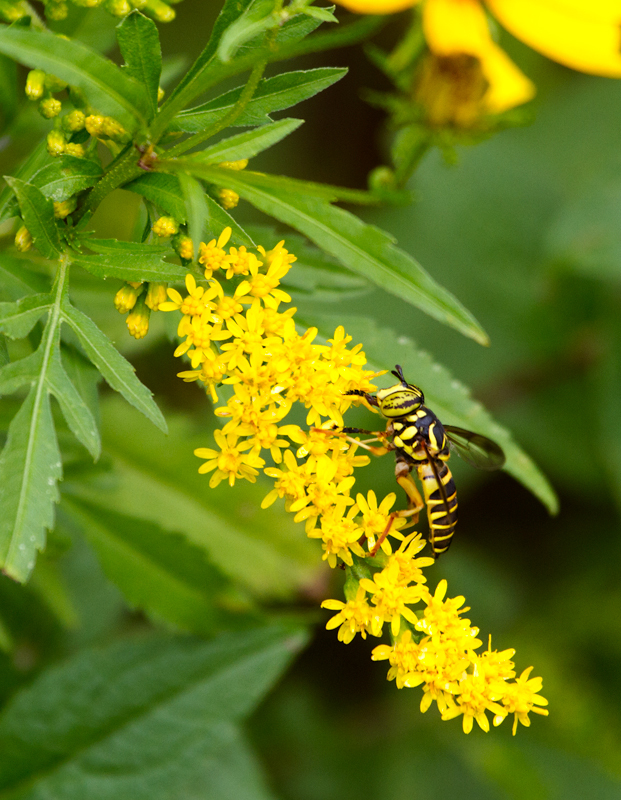 Introduced from eastern Asia to control aphids and other agricultural pests and now abundant in our region. 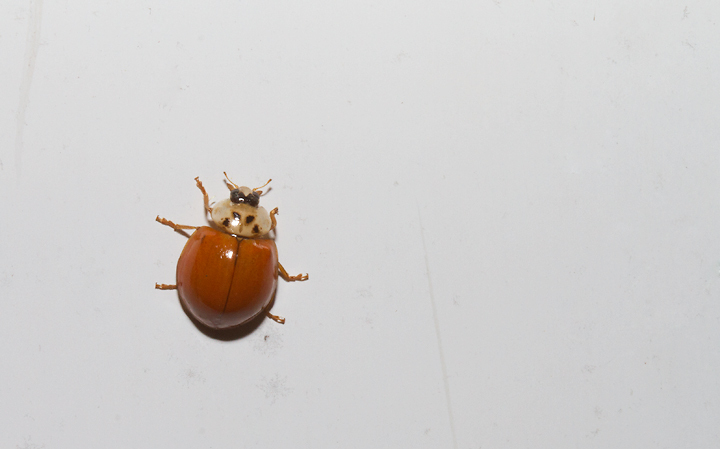 Below: Spotless form of Multicolored Asian Lady Beetle in Pasadena, Anne Arundel Co., Maryland (9/7/2012). Below: Round-leaved Thoroughwort blooming in the Nassawango area of Wicomico Co., Maryland (9/2/2012). 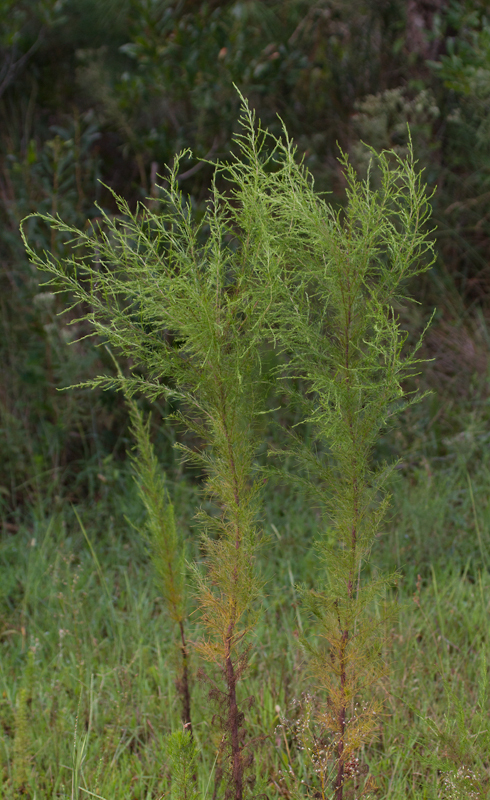 Note the very round leaf shape and extremely short leaf stalks. 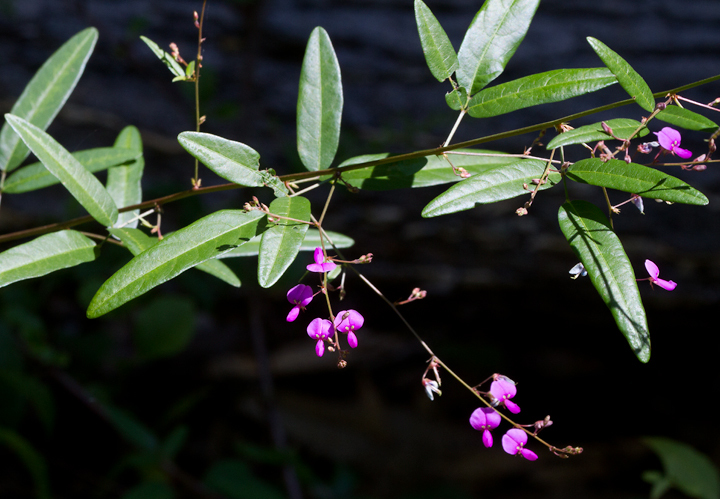 Below: Sweet Autumn Virginsbower blooming along a wooded edge near Fort Smallwood, Anne Arundel Co., Maryland (8/30/2012). 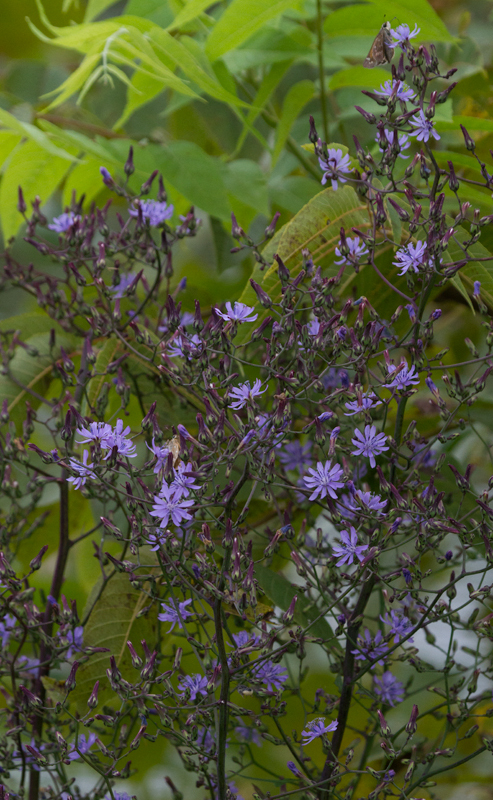 Native to Asia, this species forms dense curtains over other vegetation, especially along roadside edges. 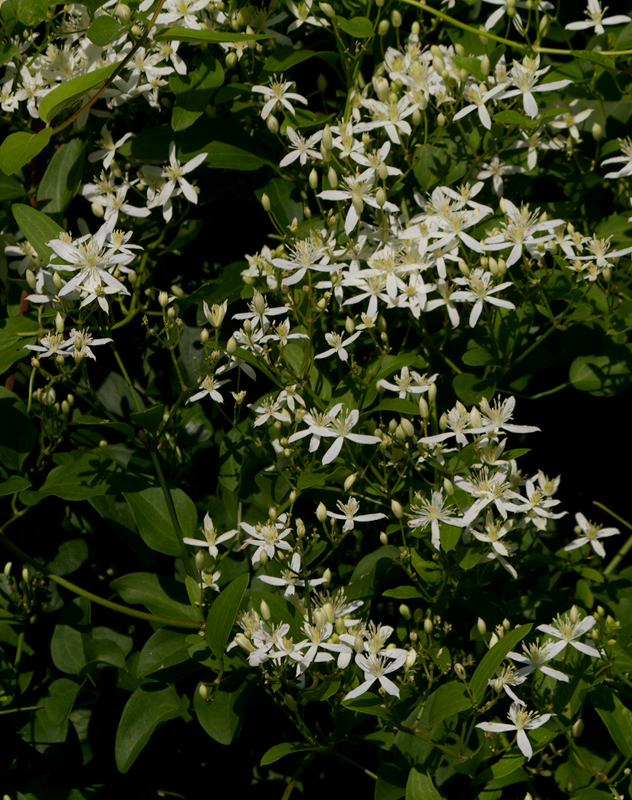 It is especially conspicuous in late summer when it is blooming. At least it's fragrant. Below: Matt Sandbur, notorious for attacking pants and shoelaces, in inland Worcester Co., Maryland (9/2/2012). 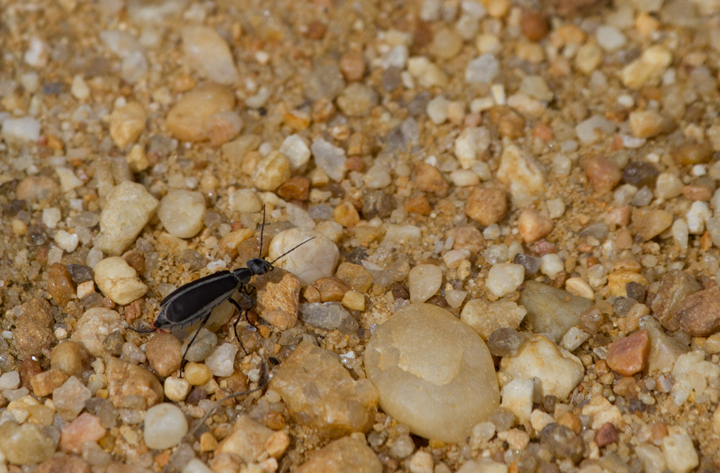 Below: A Margined Blister Beetle in Prince George's Co., Maryland (8/26/2012). 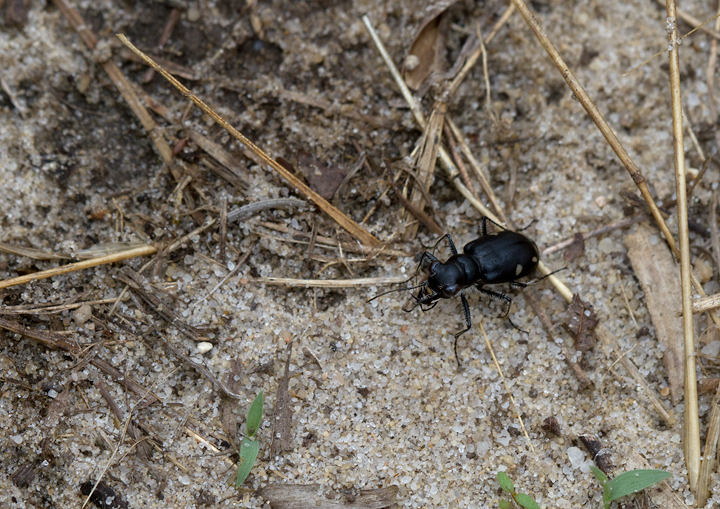 If handled, blister beetles can, in fact, excrete an oil (cantharidin) that causes blisters on the skin. 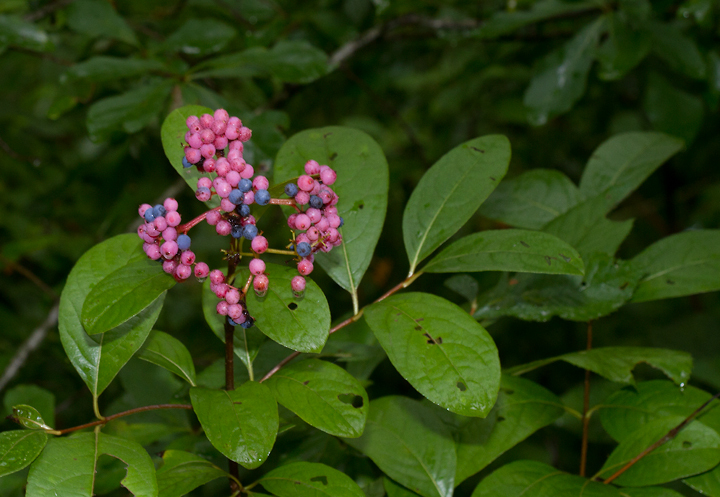 Below: Possumhaw (Viburnum nudum) with distinctive colorful berries on a wooded swamp edge in Dorchester Co., Maryland (9/2/2012). 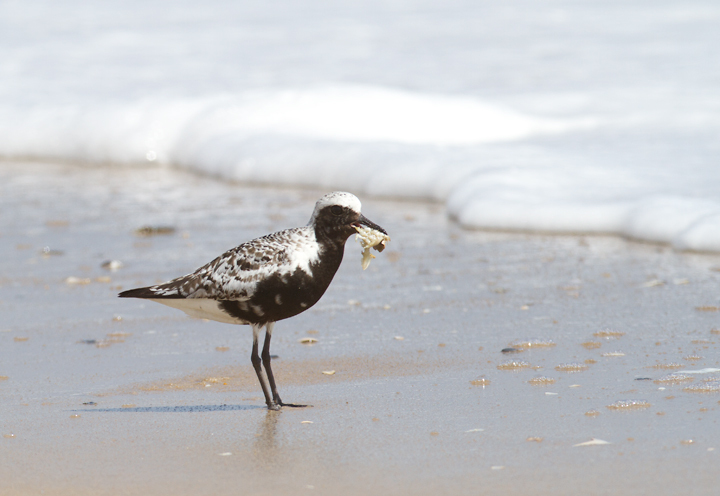 Below: A Black-bellied Plover on Assateague Island, Maryland (9/9/2012). 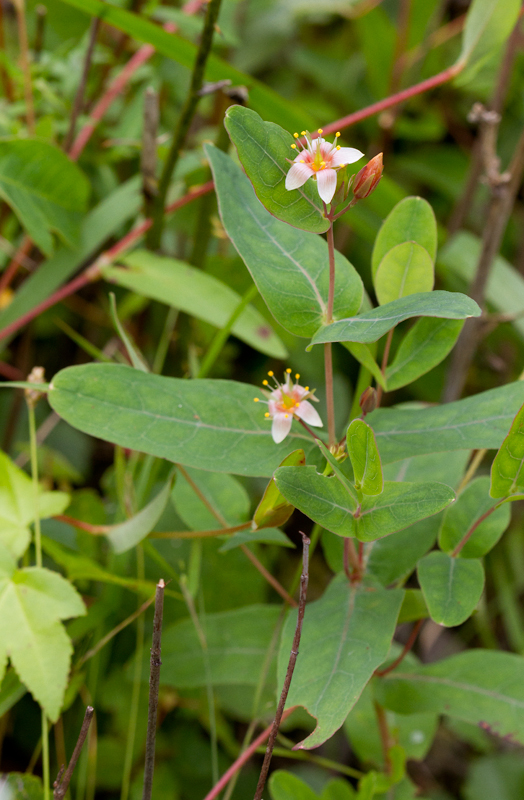 Below: A Beefsteak Plant blooming in Wicomico Co., Maryland (9/2/2012). 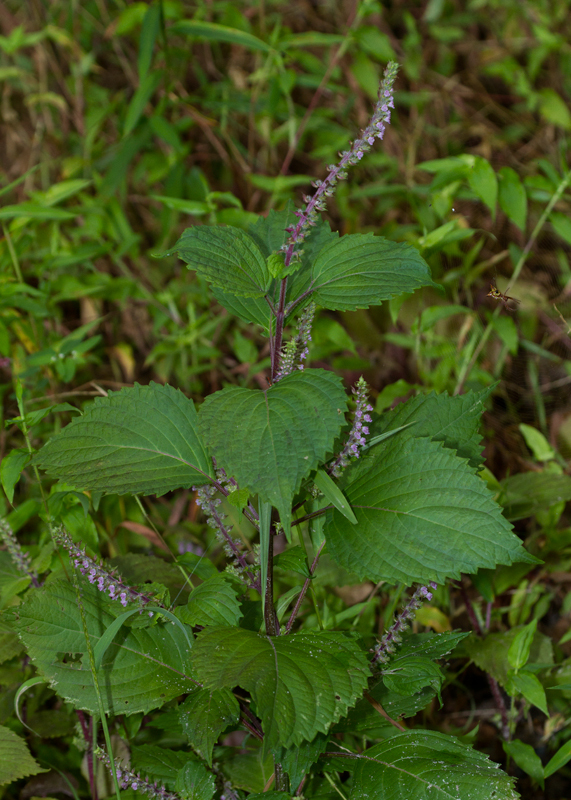 Introduced from Asia, where it is a traditional crop, especially in Japan. 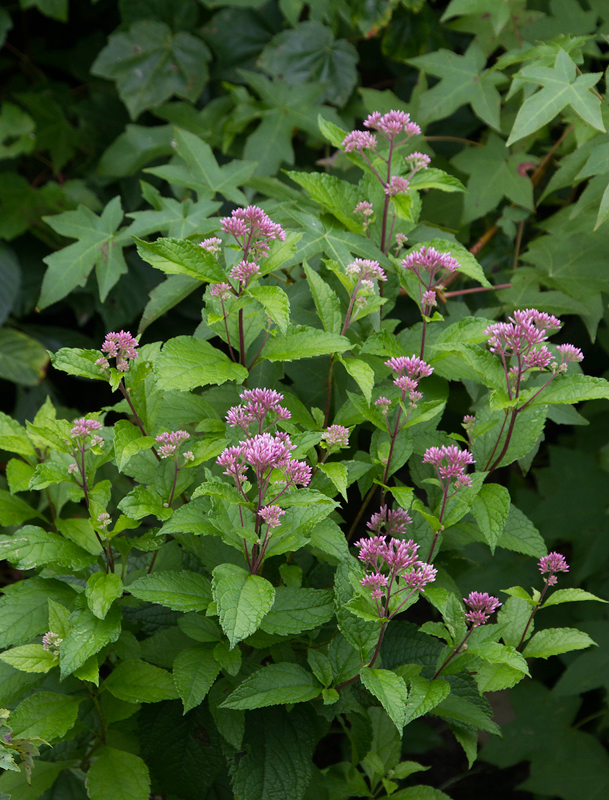 Below: Coastal Plain Joe Pye Weed in a creek drainage in northern Worcester Co., Maryland (8/19/2012). 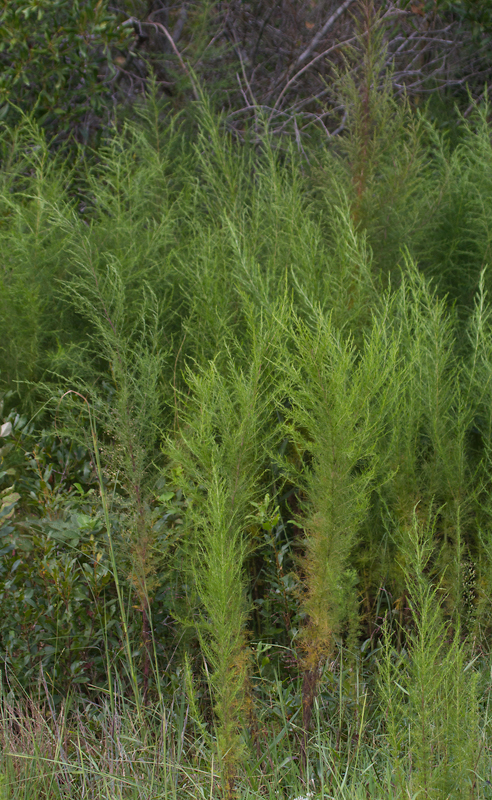 This species favors moist areas on the coastal plain. 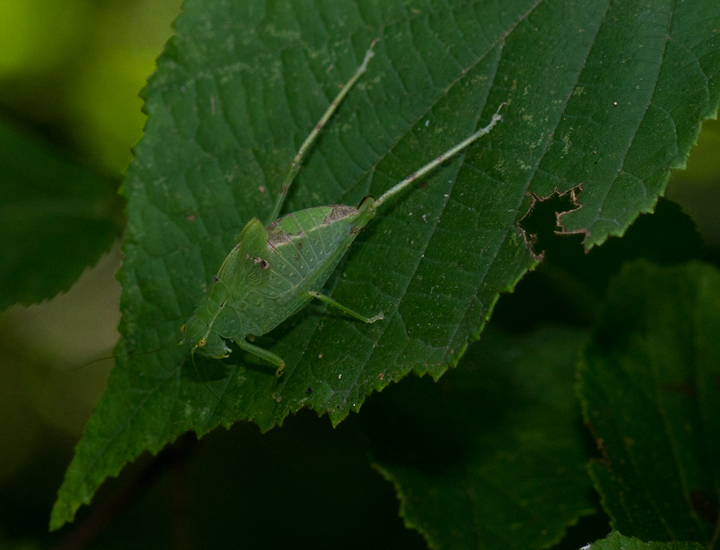 Note three nerves on leaves and pinched area on leaves near their bases. 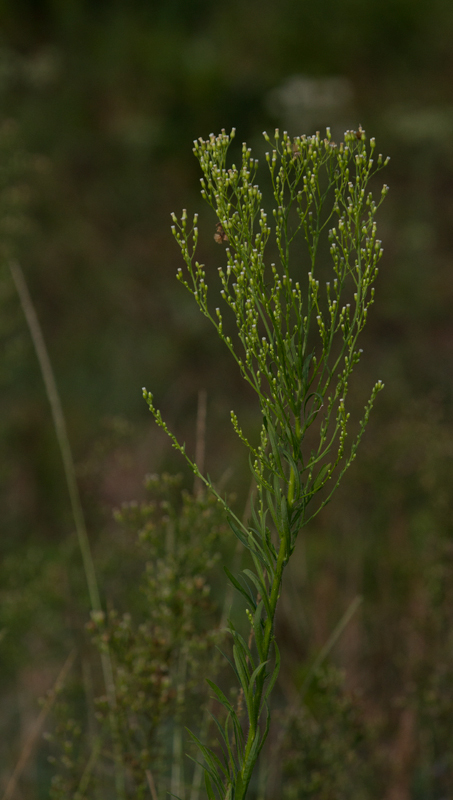 Below: Greater Ragweed in Worcester Co., Maryland (8/19/2012). 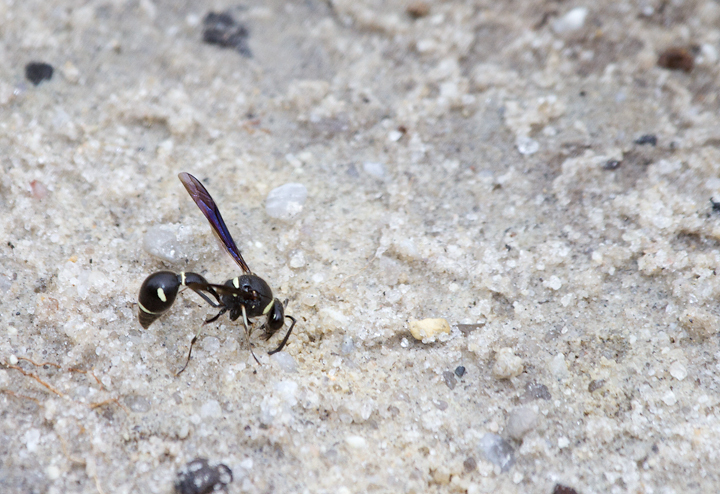 Below: Eumenes fraternus in Wicomico Co., Maryland (9/2/2012). 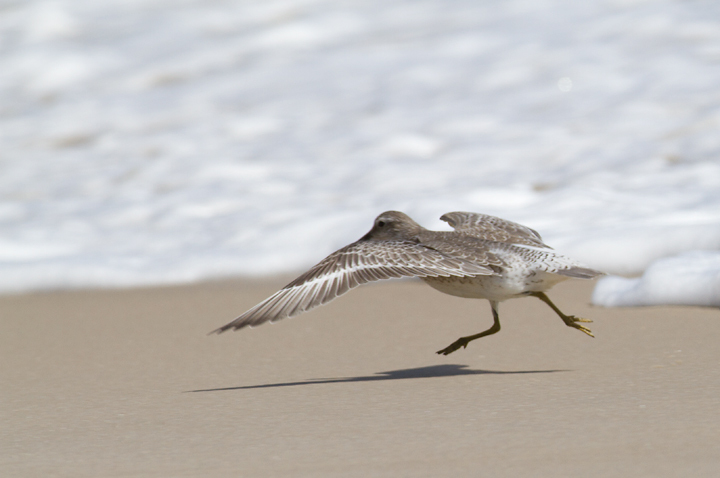 There appear to be five species in the genus Eumenes in the Northeast. 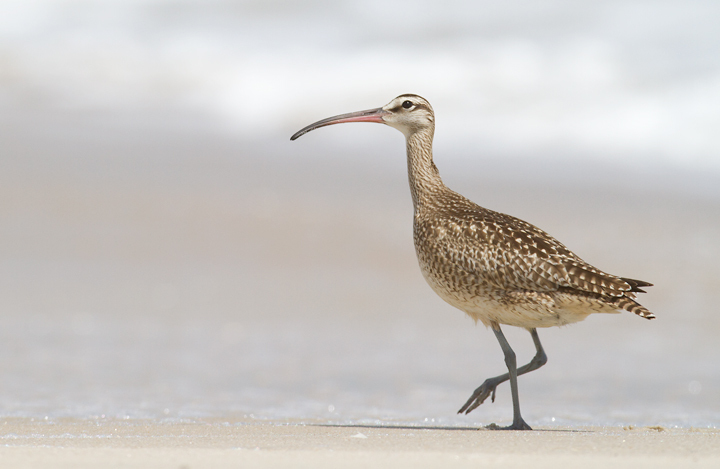 Here's an excellent key to those five species: Northeast Eumenes key. 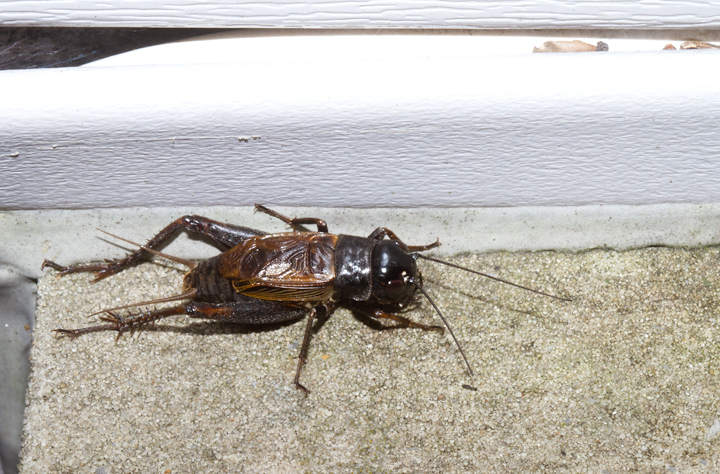 Below: A Fall Field Cricket in Anne Arundel Co., Maryland (9/7/2012). Below: A Festive Tiger Beetle in Worcester Co., Maryland (9/2/2012). 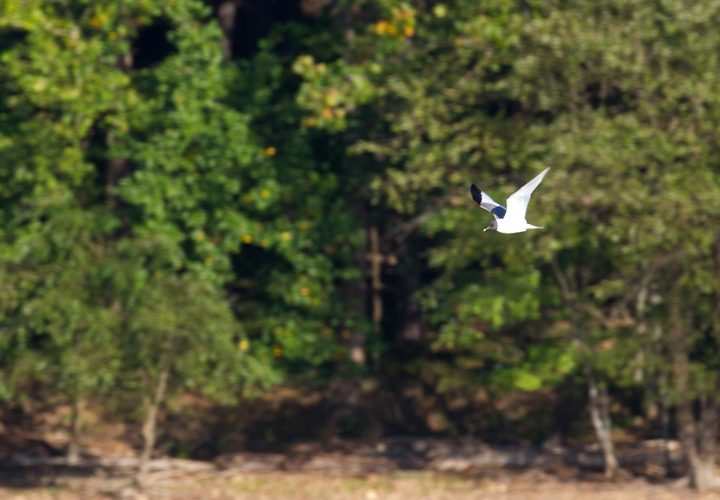 Below: A Lesser Anglewing in Prince George's Co., Maryland (8/5/2012). 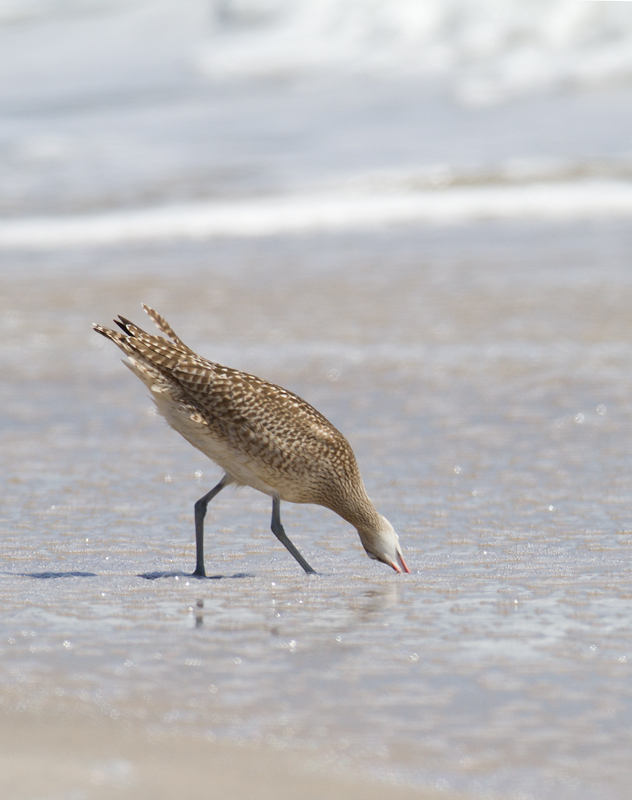 This species has what many of us consider the most familiar "katy-did" call. Separated from Greater Anglewing in this case by the squarely truncate front pronotal margin. A tooth on the front pronotal margin would indicate Greater Anglewing. 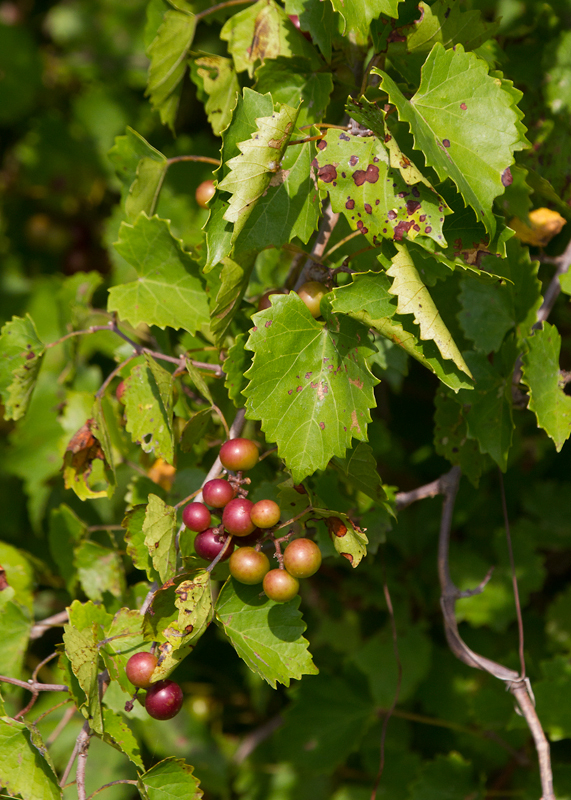 Below: Ripening Muscadine fruit on Assateague Island, Worcester Co., Maryland (8/19/2012). 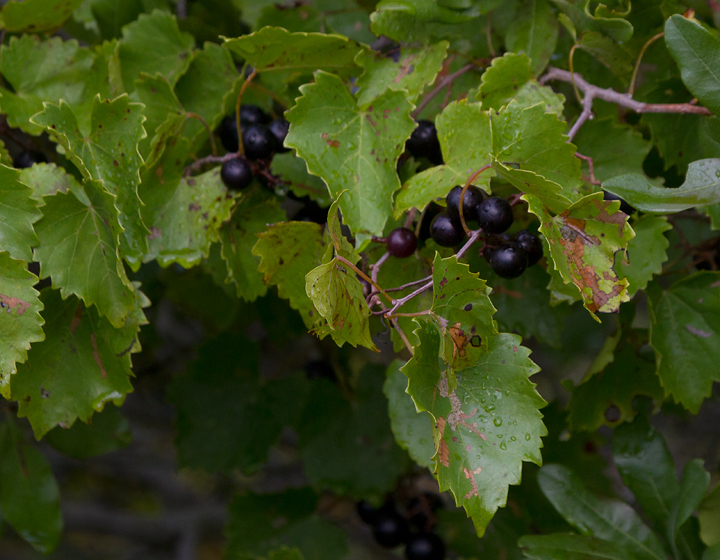 Below: Ripe Muscadine fruit on Assateague Island, Worcester Co., Maryland (9/9/2012). 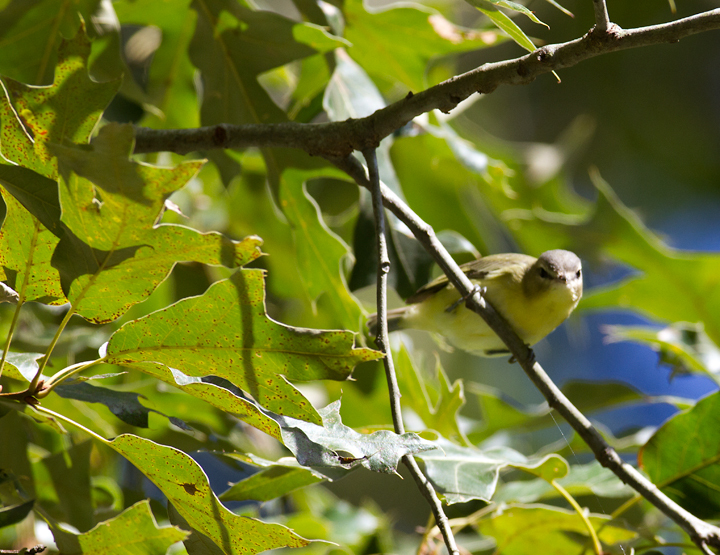 Below: A Philadelphia Vireo in Ron Gutberlet's yard in Salisbury, Maryland (9/9/2012). 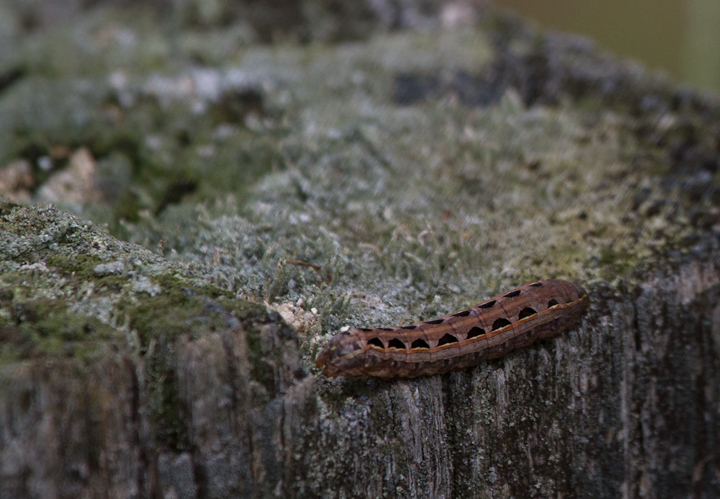 Below: A Yellow-striped Armyworm caterpillar in Prince George's Co., Maryland (8/26/2012). 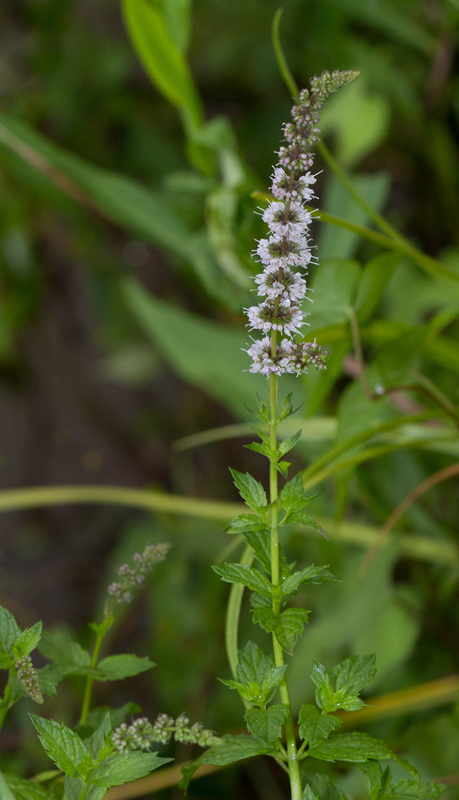 Below: Spearmint blooming in Dorchester Co., Maryland (9/2/2012). 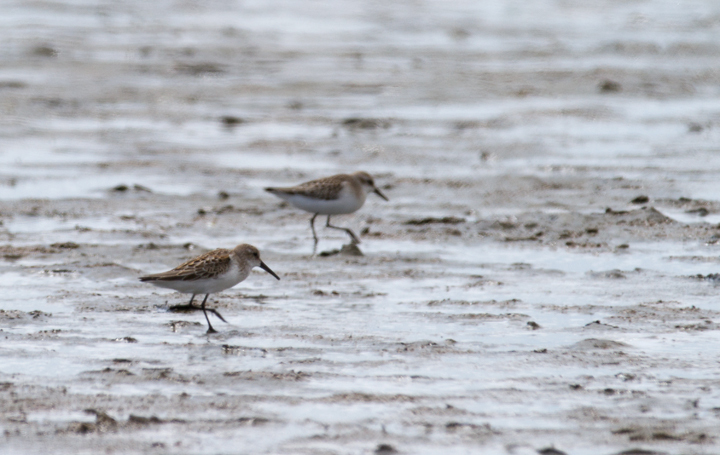 Below: A juvenile Western Sandpiper (foreground) with juvenile Semipalmated Sandpiper on Assateague Island, Maryland (9/9/2012). 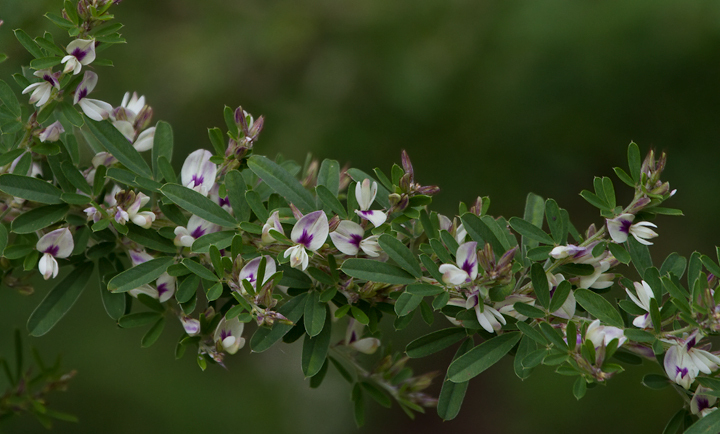 Below: Sericea Lespedeza flowering and seemingly abundant along roadsides in the Nassawango area of Wicomico Co., Maryland (9/2/2012). 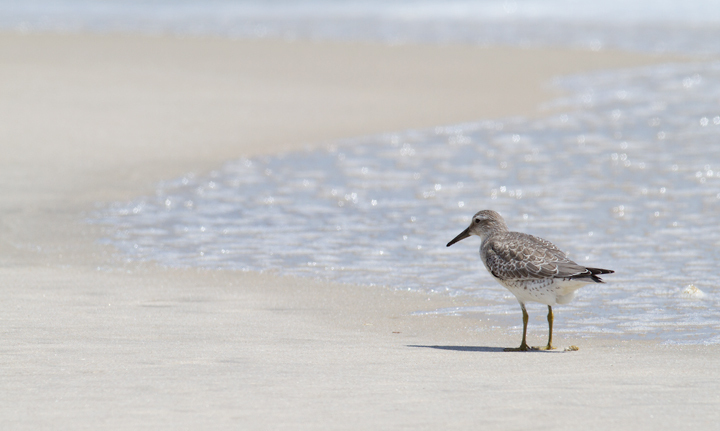 Below: A juvenile Red Knot on Assateague Island, Maryland (9/9/2012). 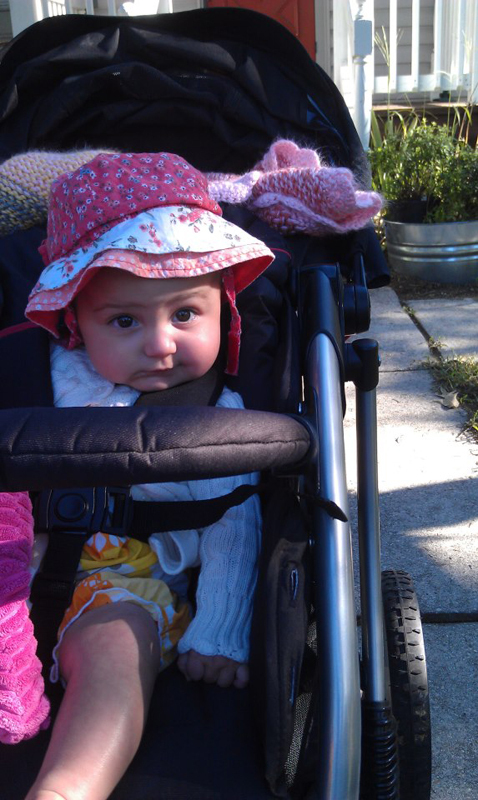 Below: And by request, the only subject I photograph more than birds - Addy! Here at 4 1/2 months and about to go on an adventure.